Almost any Georgetown student could tell you that the university was founded in 1789. Almost any Georgetown student could also tell you that the university’s founder was John Carroll. However, only a few people could tell you what came before Carroll and the university. 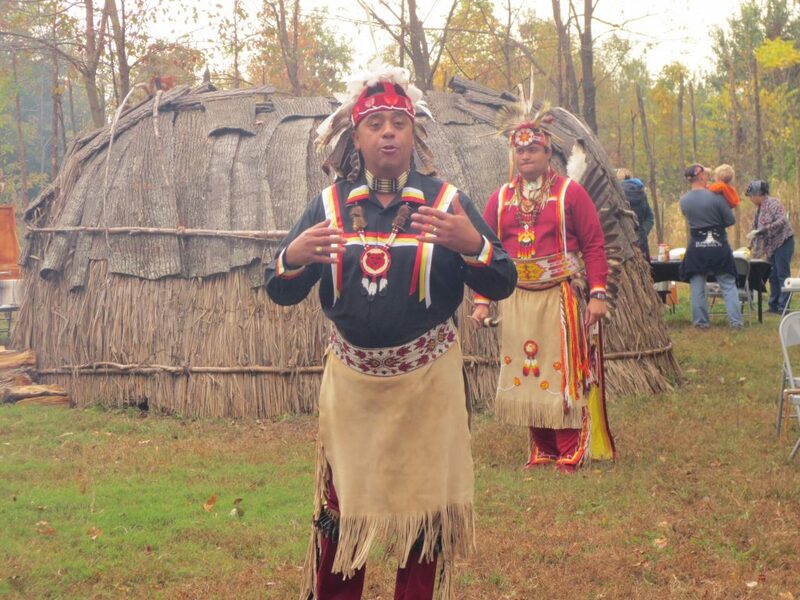 Mario Harley, vice chair of the Piscataway Conoy Tribal Council, is one of those few. Now, the Piscataway and the Georgetown University Native American Student Council (NASC) are fighting for the recognition of that history. On April 3, NASC delivered a petition to University President John DeGioia calling for greater inclusion of indigenous students on campus. The Piscataway people and their ancestors have lived in southern Maryland for more than 13,000 years, Harley said. They first encountered Jesuit missionaries in 1634, and though their relationship was peaceful, it was unbalanced. “We gave a lot and got little,” Harley said. Most of the Piscataway converted to Catholicism, and their tribal government agreed to a series of treaties with the Maryland colonial government. “Each time, we lost a little bit of sovereignty, a little bit of our rights as a people,” Harley said. Harley is a member of one of two distinct Piscataway groups in the D.C. metro area. Both his tribe—the Piscataway Conoy—and the Piscataway Indian Nation, were recognized in 2012 by then-Governor of Maryland Martin O’Malley after decades of lobbying. Official recognition frees up federal funding and makes it easier for indigenous-owned businesses to qualify as minority business enterprises. “American Indians have, through their cultural heritage, historical influence, and participation in public life, and helped to make the State of Maryland the great State that it is today,” the orders read. Kelsey Lawson (SFS ’19), president of NASC, believes that the university owes the Piscataway the same type of acknowledgement. “Native students have not been able to find a community at Georgetown for reasons related to an institutional lack of support and awareness,” the club’s petition reads. Land recognition is only one of NASC’s demands, but the club’s members—and the Piscataway members they consulted to draft the petition—view it as an important step in the right direction. Some North American universities, like the University of Toronto and Northwestern University, have recently published statements of land recognition, thanking local indigenous peoples for the land on which their respective schools are built. NASC’s petition calls for the university’s “acknowledgement” of the Piscataway’s history at every school-sponsored event. “While a land acknowledgement is not enough, it is an important social justice and decolonial practice that promotes indigenous visibility and a reminder that we are on sacred land,” Harley wrote in a proposed statement to be read at these events. The idea of land recognition has gained some traction among Georgetown students and faculty. 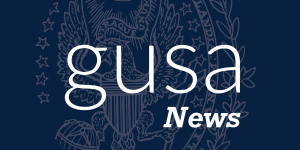 When NASC submitted the petition to DeGioia’s office on April 3, it had over 600 signatures. As of April 10, the administration had not responded to NASC directly, but Matt Hill, a university spokesperson, wrote in an email to the Voice that the university is looking at the issue. “We take the issues raised seriously and are committed to better understanding the experiences of our Native American students. 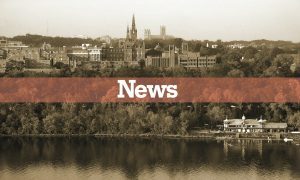 We look forward to further engaging with these student leaders and working together to ensure Georgetown offers them and the broader community the appropriate resources and support,” Hill wrote. Lawson believes land recognition should be part of a greater effort to reckon with the needs of indigenous communities. She pointed out that Georgetown has taken more steps to grapple with the historical legacy of another minority group displaced by the Jesuits: the 272 enslaved people sold by the Jesuits of Maryland in 1838 to keep Georgetown financially afloat. NASC calls for similar forms of recognition for indigenous communities but has not yet found a receptive audience. So, with the help of Piscataway activists, NASC will hold a university teach-in on April 15 to raise awareness about the history of indigenous people in the Americas, especially with regard to the university. Since last spring, Piscataway activism has been focused on Georgetown’s proposed solar project in La Plata, Maryland. The installation, which would provide almost half of the university’s electricity, would require clear-cutting more than 200 acres of forest historically claimed by the Piscataway. Though European colonial expansion steadily pushed the tribe farther north into Maryland and south into Virginia, the area was once home to Piscataway farms and townships. At a public hearing on Feb. 27, Piscataway activists, including Valarie Proctor, voiced their objections to the project. “Despite the importance of this forest to the ecosystem of southern Maryland and to the Piscataway community, Georgetown and Origis have not consulted the tribe in the process thus far,” Proctor said at the hearing. Edwin Moses, the managing director of project development for Origis, the company building the installation for Georgetown, told the Voice that the company conducted an archeological survey and held multiple hearings and community meetings before deciding on the site for the installation. From developments like the La Plata solar project and the Dakota Access Pipeline to disproportionately high suicide rates and instances of violence against indigenous women, many indigenous organizations are facing uphill battles. They are confronted with a number of obstacles when it comes to inclusion and protection. The Piscataway Tribal Council also recognizes its changing role in the D.C. metro area. Thirty years ago, as a D.C. public school student, Harley said he was taught that the Piscataway were an extinct tribe. “And that was definitely not the case,” he said. So the Tribal Council has focused on education justice, teaching Piscataway students about their own history and advocating for the inclusion of indigenous stories in school curricula. “D.C. itself is a very transient area,” Harley said. “So very few people know the history of the land.” He said that Georgetown students in particular, who may only live in D.C. for a few years, could benefit from learning about Piscataway history. Caroline Hamilton Caroline Hamilton is a freshman in the SFS studying International Politics. She is an assistant news editor and if asked, she will claim to understand postmodernism.